Posted on April 12, 2019 in Latest Events, News, What's in Bloom? This workshop is part of our NEW Art in the Garden series, which is sponsored in part by Pennsylvania Council on the Arts and ECGRA - Erie County Gaming Revenue Authority. Please join us in thanking our incredible sponsors for their generous support! 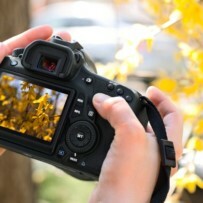 The first step to great photography is knowing your camera. Being familiar with all the little bells and whistles will help to improve your images. As part of this class we will spend time in the gardens putting what you've learned to use, followed by some time to share your photos. Participants must be familiar with their camera.